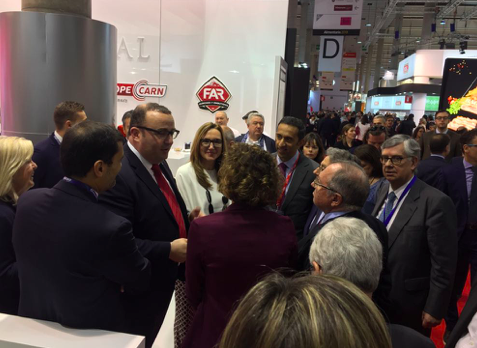 A spectacular video screen was the emblem of the Cañigueral Group stand at Alimentaria Fair in Barcelona. 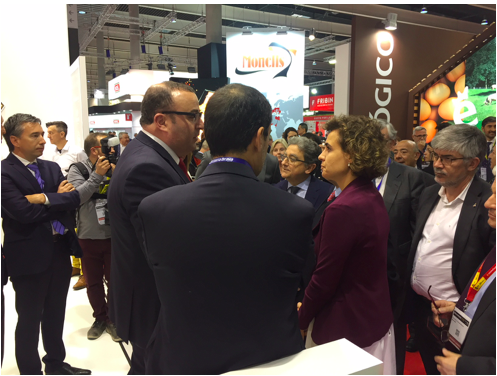 We received the visit of the Spanish Minister of Health, Dolors Montserrat, at inauguration, and the Spanish Minister of Agriculture, Isabel García Tejerina, at the closing ceremony. 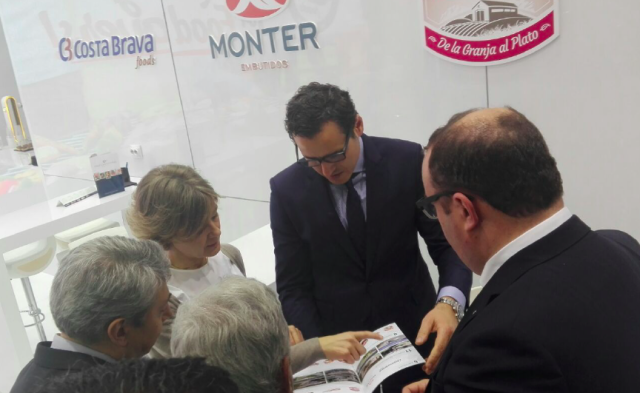 And between one and another visit, many others from friends, professionals and customers who came to our stand and enjoyed our cured or cooked products. 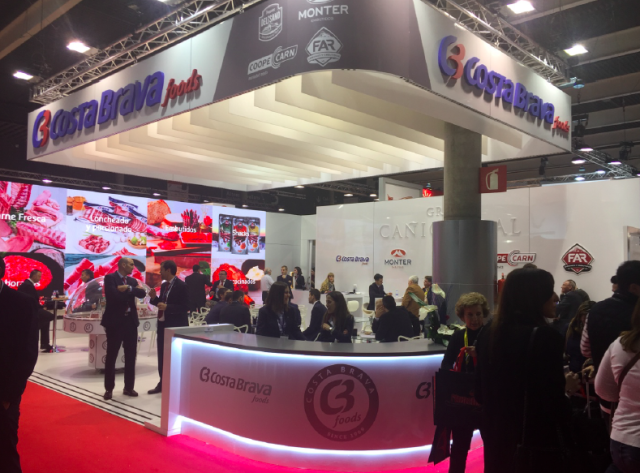 We thank you for the acceptant of our new ready to cook products, marinated, wide range of hamburgers and snacks, and ABF pork products, all of them shown in Barcelona.